Senior Management Teams: Strategic focus or organisational admin? Making the big decisions or checking the latest performance report? All councils have management team meetings; indeed, my guess is that all large organisations have management team meetings of some sorts. At their best these management teams provide the strategic direction for the council; dealing with large issues and ensuring that there is a consistent vision across the organisation. In addition, the team meetings are important opportunities to share information across the council, to ensure that important messages are cascaded down to the rest of the staff, and hopefully to also challenge each other over how the organisation should be structured. 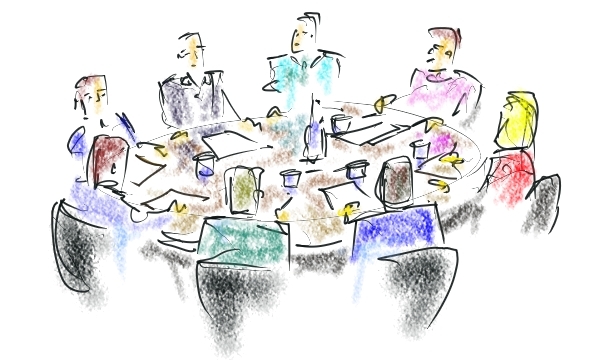 I’ve been to a wide range of these management team meetings as a guest over the past few years and therefore always take a big interest in the agenda of these meetings. The thing that struck me most was the proliferation of basic admin tasks that were covered by these supposedly strategic meetings. I think this stems from a misunderstanding of what the management team is there for. Instead of being strategic many management teams seem to think that their job is simply to ‘see’ everything that is going on within the council.